Just CLICK on the episode image, at left, to view it at FULL SIZE. Well, this is a first. 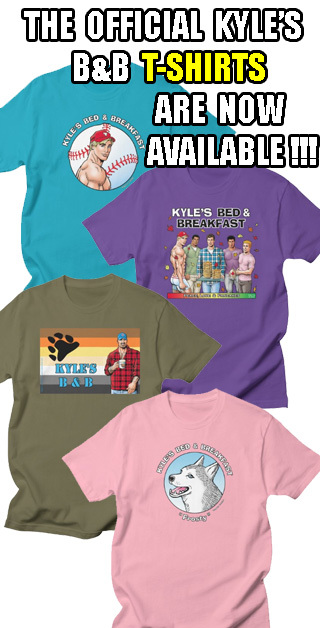 The Kyle's B&B website provider seems to be having some problems today; the website is still up & running, but I cannot access it to update it with the latest episode of the comic strip. Meanwhile, the other place I post the new episode of the strip, Comic Space is also having difficulties today. The whole site is down! So, what is one to do to see the newest episode of Kyle's B&B? Well, I have posted it here on the Kyle's B&B Blog! If you click on this image above, it should give you a view of the new episode at it's regular, larger size. (Don't try reading it at this size, you'll miss out on all the detail!). Click on the pic! UPDATE: It's official...I'm going to be posting new episodes here on the blog for the foreseeable future. This has worked out so well, with virtually no one writing to complain about having problems viewing the new episode, (unlike where I used to post it), it'd be crazy to go back to the old way. So, be sure to stop back here on June 5th-6th for the next episode! Chemical King Gets SHAFTED Again!!! 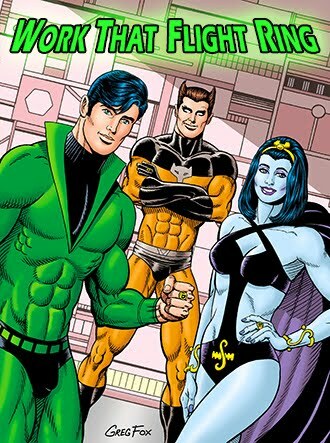 So, all I can say is....I'm happy that DC appears to be bringing back the Legion in a form that I love, but....please....lets not forget about CK, OK?